Key Verse: Verse 28 – “And we know that all things work together for good to them that love God, to them who are the called according to his purpose." In the northeastern United States cod fish are not only delectable, they are a big commercial business. 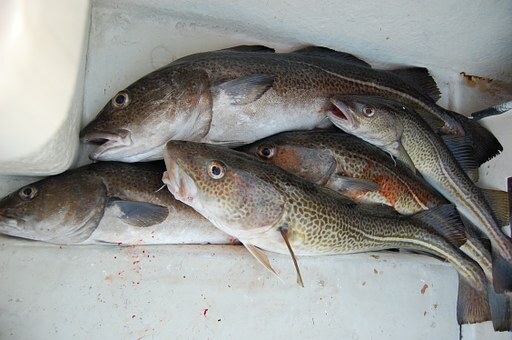 There is a market for eastern cod all over, especially in sections of the Midwest and west. But the public demand posed a problem to those who were responsible for shipping the cod. At first they froze them but the freezing took away much of the flavor, so they experimented with shipping them alive in tanks of seawater; but that proved to be worse than freezing them. Not only was it more expensive, the cod still lost its flavor and in addition became soft and mushy. The texture was seriously affected. Finally some creative soul solved the problem in a most unique way. The codfish were placed in a tank of seawater along with their natural enemy, the catfish. From the time the cod left the east coast until it arrived at its western destination, those ornery catfish chased the cod all over the tank! And you guessed it – when the cod arrived at the market they were as fresh as when they were first caught. ✞ Remember, your enemy may be the one keeping you “fresh” with God.